This one is amazing! It is 17 inches by 15 inches of beauty. The inner chambers are filled with Golden Calcite, and the rest are Pyrite. 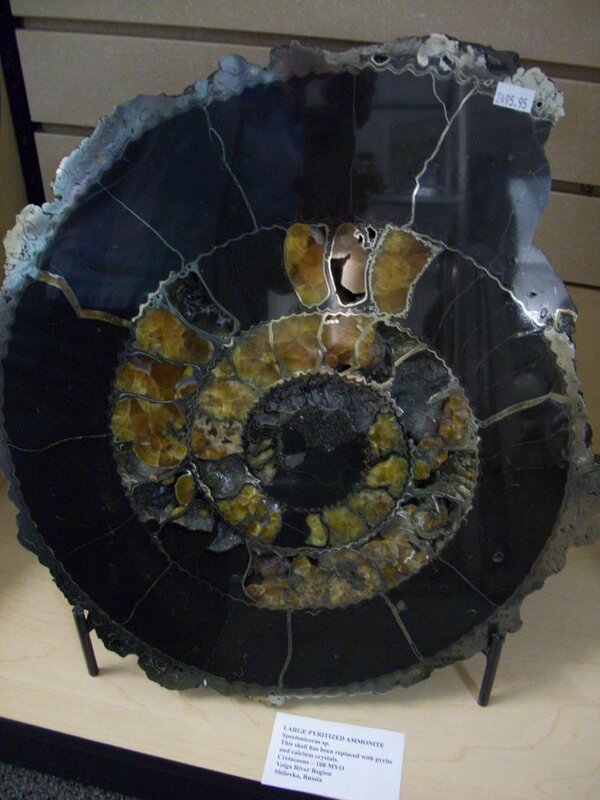 Russia is the only place to find Ammonites like this.